The NBA never ceases to provide jaw dropping or Twitter breaking news even in the month of August. 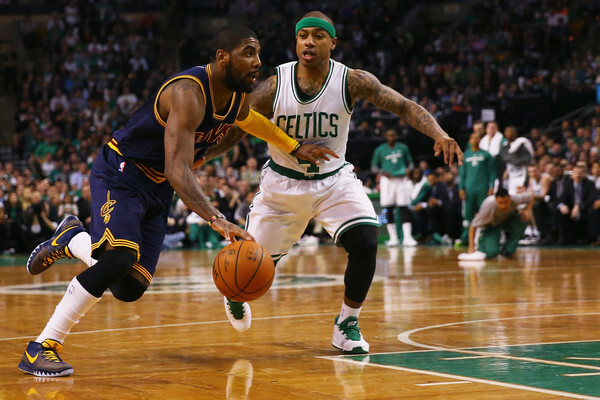 In one of the most blockbuster trades in recent memory, the top teams and rivals in the eastern conference have agreed to a trade this afternoon as the Cavaliers are sending Kyrie Irving to the Celtics for Isaiah Thomas, Jae Crowder, Ante Zizic and the all mighty unprotected 2018 1st round pick from Brooklyn. The match-up between these two on opening night on October 17 has now become the most anticipated game of the entire 2017-18 season and the race for the eastern conference has become much more extreme and personal. Pretty crazy to think that the Cavaliers traded the No. 1 pick in the 2011 NBA Draft for a trade centered around the No. 60 pick of the 2011 NBA Draft. While Irving is a younger player and the most valuable player in the trade overall, for the Cavaliers to get an All-NBA point guard in return in Isaiah Thomas for next season along with a very solid two-way player in Jae Crowder and a potential top three pick in the 2018 NBA Draft is pretty incredible. This allows them to compete for an NBA title next season and better position themselves for the future after a possible LeBron James departure next summer. The Celtics meanwhile get a 25-year-old superstar in Irving to be their new franchise center piece and avoid having to pay Thomas a max salary of 30 million plus next season. Who is the favorite in the eastern conference for the 2017-18 season after this trade? My money is still on Cleveland.